I have blown up 2 trading accounts. That’s right, during the late 90’s internet boom I turned 5K to 200K in 2 short months. I thought I was on my way to becoming a millionaire at 23 years old, but lost it all. Then I learned how to trade. In the years that followed I slowly built up a small account swing trading part-time while working a demanding full-time job in the legal profession. In only 5 short years I built my account to a size big enough to quit my job and trade full-time. During my trading journey I have written hundreds of trading articles and mentored dozens of traders. Along with trading and mentoring, I run the swing trading service at my former mentoree and trader extraordinaire Kunal Desai’s educational trading site Bullsonwallstreet.com. 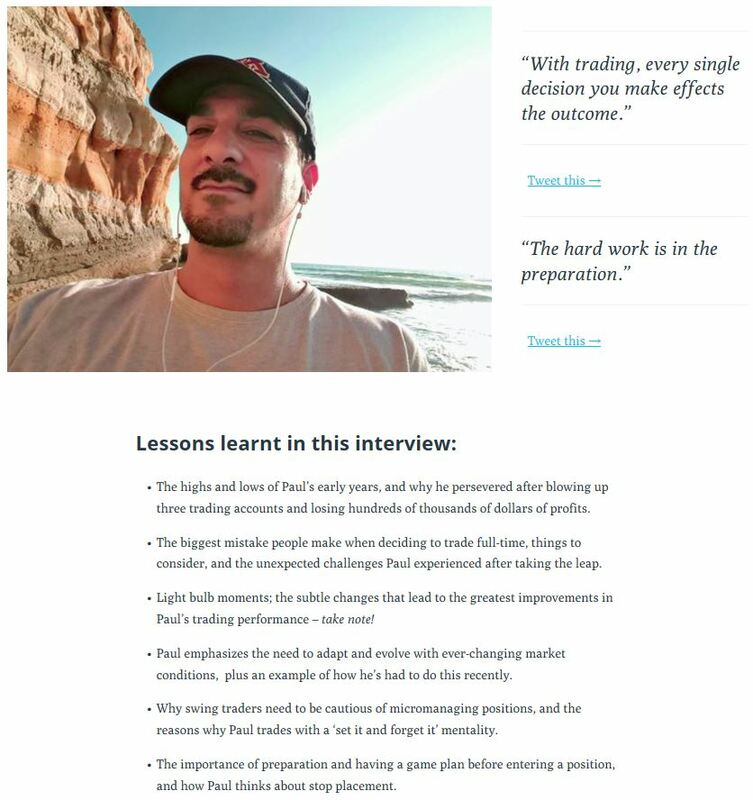 Recently I had the honor of being interviewed by Chatwithtraders, the top trading podcast on Itunes, and the mentorme podcast. These two interviews will give you a more in-depth view of my journey, trading style and my fear of tight spaces! Reach me at Singhjd1@aol.com. I return every email I receive! Heard your Chat with Traders interview. Very Good! I wanted to follow up with you on your mentor program – do you have anything written up as to how that works (eg, what exactly is covered, how long does it last, a syllabus, etc). I plan on listening to your other podcast this weekend. Thanks and appreciate what you are putting out there!